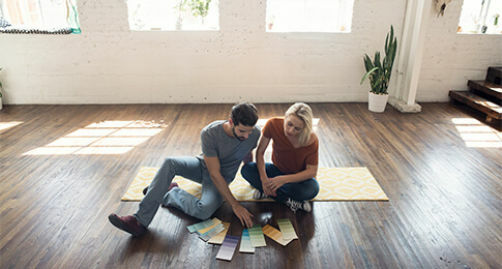 A signature line of credit can be used for unexpected expenses as well as large expenses such as debt consolidation, medical expenses or vacations. As a credit union, we share our profits with our members in the form of low interest rates on lines of credit. Manage your account, make payments, and transfer funds using our app. Can be used for overdraft protection for your checking account. The Annual Percentage Rate (APR) for new and existing advances will be the Prime Rate as published by the Wall Street Journal (Index), plus a Margin between 5.6% and 15.0% up to 18% cap. The APR will change on the first day of each month to reflect any change in the Index. The APR will never be greater than 18% or the maximum rate allowed by law, whichever is less. Any increases or decreases in the APR will take the form of more or fewer payments of the same amount until what you owe has been repaid. Your APR will be based on your credit score. You will be informed of the APR and daily periodic rate for which you qualify before you become contractually liable for the account. Minimum payment, 2.50% of the balance, recalculated each advance. Amount available determined by credit worthiness. A home equity loan lets you borrow up to 95% of your home's value at one time. Once approved, when will I receive the funds from my signature line of credit loan? As soon as loan documents are signed and any stipulations for obtaining the loan are satisfied. What's the difference between a signature loan and a signature line of credit loan? Our signature loan is a fixed-rate loan with terms up to 60 months. Our signature line of credit loan is a variable-rate, revolving credit line that you can access anytime, for any amount up to your authorized spending limit. When I access my signature line of credit, is there a minimum amount I have to withdraw? No. You can access your signature line of credit loan for any amount up to your authorized spending limit. To apply by phone, call 800-342-3086.